drwxr-xr-x 30 root root 4096 May 11 14:23 .
drwxr-xr-x 3 root root 4096 Aug 9 2015 .. When I click on the button that is supposed to change my cursor, I get an empty tooltip to the right. Lxappearance also displays similar behavior, showing me no cursors available. How do I fix this problem or work around it? I ended up copying everything from that folder into ~/.icons and then I was able to pick a cursor from there. 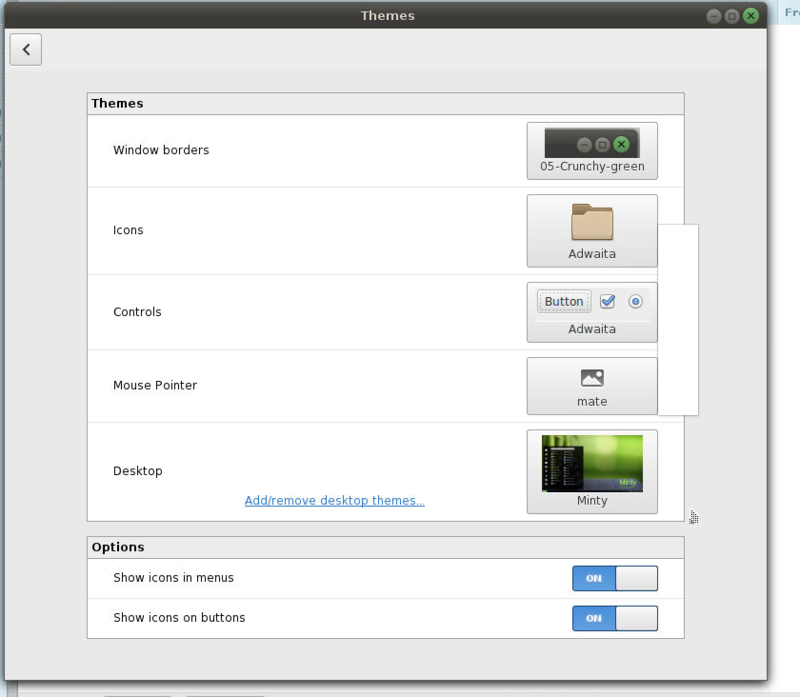 Strange that Cinnamon doesn't pick up the themes in /usr/share/cursors/xorg-x11 folder, maybe it was looking in /usr/share/icons or somewhere else? to manually set my cursor theme globally for my user.